*This is part two of my series on essential oils. I highly recommend you first read, Why Essential Oils Aren’t Natural to learn my philosophy about essential oils. Without a doubt, the essential oil revolution has rapidly grown in the past two decades due to the business model known as multi-level marketing (MLM). While essential oils have truly been around since the dawn of time, Young Living and doTerra, the largest essential oil giants, have brought oils into dinner conversations nationally. Both of these companies use multi-level marketing. This direct sales model is a hierarchy of independent distributors. These distributors are promised a cut of the profit from the distributors they recruit to work under them. Hence the hierarchy structure. Seems reasonably enticing. I know I was always excited in my teenage years when a new Avon catalog came out. From the amazing success stories of friends, I even tried Isagenix… for all of one month. So what’s the problem with many multi-level marketing companies? To start with the basics, we have the monetary issues. Very few of the distributors ever see any money. As a great example, 92% of Young Living distributors make an average of $1 a month. MLM companies can also charge prices that would never be sustainable in the open-market. For example, Young Living will happily sell you 2 bottles of berry juice for nearly $100. But what concerns me more than the money is the ability for misinformation to spread like wildfire. Much of the misinformation on essential oils comes directly from the distributors, whether they have the best intentions in the world or not. You see, when distributors take highly-concentrated chemicals, claim medicinal benefits typically based on personal experiences, and then sell them at house parties the same way I get Mary Kay lipstick or my favorite sugar cookie candles from Gold Canyon, confusion is bound to occur. Really, this type of sales hierarchy is not only a concern to me and my healthcare comrades, but it is a concern to many licensed naturopath doctors and aromatherapists as well. These professionals typically have extensive training and education, meanwhile many Young Living and doTerra distributors boast that signing up to sell oils takes mere minutes. While I’m all about individual empowerment and autonomy, let’s consider this in a different light. Would we accept this model for any other type of medical/pharmaceutical sales? If I wanted to start a multi-level marketing company selling antibiotics for children and then allow anyone to sign up, sell and distribute to anyone that wanted my products, would that be okay? Beyond okay, would it be celebrated the same way that essential oils are? No, it wouldn’t. Most people would say that distributors selling antibiotics without any training, education, or regulation would be irresponsible. Yet, essential oils claim to be natural antibiotics all the time. It’s a double-standard. This brings me to my next point: the highly disconcerting, grandiose, larger-than-life healing claims made by these MLM companies and their distributors. It’s not just my opinion that this is taking place, it’s a fact. Warning letters were sent from the FDA to both Young Living and doTerra recently in September of 2014. Young Living made claims that their essential oils could cure “Ebola, Parkinson’s disease, autism, diabetes, hypertension, cancer, insomnia, heart disease, post-traumatic stress disorder (PTSD), dementia, and multiple sclerosis.” DoTerra was doing the exact same thing by claiming that their oils could cure “Ebola, bacterial infections, cancer, brain injury, autism, endometriosis, Grave’s Disease, Alzheimer’s Disease, tumor reduction, and ADD/ADHD.” Ebola? Really??? As much as an optimist as I consider myself to be, don’t you think that Ebola might be taking it a little far? Preying on the deep desire that people have to be healed from horrible diseases like cancer and Alzheimer’s Disease without backing up these claims with evidence is cruel. This is why the FDA (Food & Drug Administration) stepped in. But what did they do? They sent a warning letter. Because essential oils are classified as a cosmetic, these companies and products are NOT regulated by the FDA in any other way. They don’t have to prove safety before selling them. They don’t have to prove effectiveness before selling them. They don’t even have to disclose the side effects of use. The worst part about this lack of regulation? Most people don’t know about it! At least 68% of Americans think that herbal manufacturers have to reports side effects, 58% believe that herbal products must be approved by the FDA before sale, and 55% think that manufacturers of vitamins, minerals, and dietary supplements cannot make any claims about safety or effectiveness without scientific evidence. This widespread belief is absolutely untrue. Dr. William’s Pink Pills for Pale People was an international success. It could make “cross and peevish babies happy and contented.” It was always reliable to “alleviate the pressures of bearing the white man’s burden.” Some even claimed it fixed paralysis. Hostetter’s Stomach Bitters “creates an appetite, forces off impure bile and purifies the system.” But if one bottle would do that, two bottles carried far more power by curing “bad livers and lends strength and cheerfulness.” How? Well, 47% of his concoction was alcohol. For better perspective, whisky contains 35-45% alcohol. At one point, over 6000 bottles were sold each day. Winslow’s Soothing Syrup was a favorite infant remedy for colic and teething. Its contents? Morphine and alcohol. Infant death from accidental overdose was not uncommon. Did that halt its popularity? No. In 1868, one of the owners reported that 1.5 million bottles were sold annually. While the American Medical Association incriminated this drug in 1911 in a section of a publication called “Baby Killers,” it remained in production until 1930 still being sold to unsuspecting parents. Coca-Cola infamously contained cocaine in its original formulation. It wasn’t fully removed until 1929. Multi-level marketing is not the business model that should be used when it comes to the buying and selling of essential oils. It is manipulative for distributors and buyers alike. 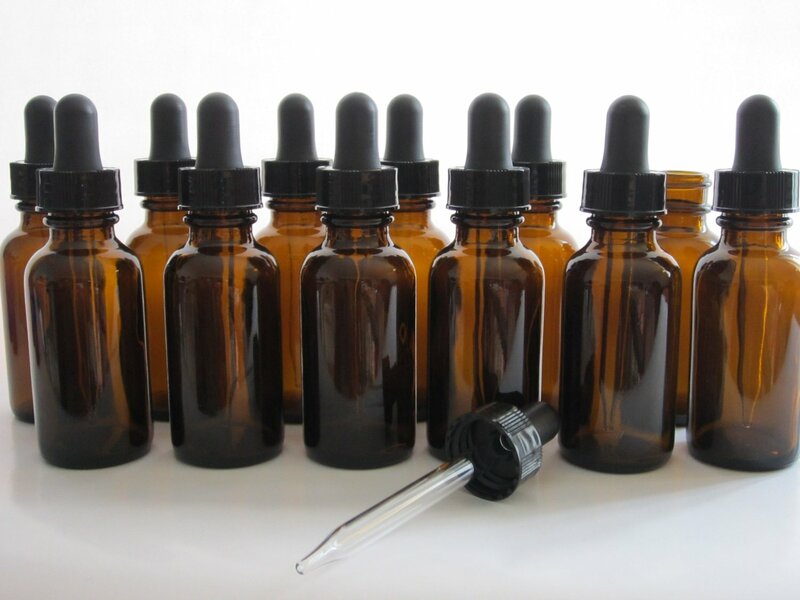 The regularly outrageous claims made by some essential oil companies and distributors is not only misleading but wrongfully preys upon desperate people. It makes me terribly sad. The safety and efficacy of essential oils will never fully be known until FDA regulation is in place. It is a double standard to claim medicinal benefits without having the legal regulation required of medication in this country. If you choose to use essential oils, I have nothing but love towards you but please do so wisely. Be very careful using them on your children! Seek education not just from friends, but those truly trained to work with these chemicals. P.S. Not sure if you can use an essential oil on your child? I highly recommend that you download this comprehensive list of essential oils that should NOT be used on children. It was compiled (and used with permission) by Lea Harris from the book, Essential Oil Safety: A Guide for Health Care Professionals and it is SO helpful! For more of her resources visit: www.learningabouteos.com. Do you use essential oils on your child? Tell me in the comments below! Umm….. you work in a pyramid, we all do. As someone who was a part of your industry and transitioned out due to the lack of sustainable income, I moved into mlm. Over the last 7 years it has been great and according to my physician, the products I take are a great part of my own improved health. Personally, it’s okay to hate mlm, especially if you really have it your all for a whole month…., or you quit too soon as most do. Solomon… he was a great man who knew opportunity when he saw it…. He was wise enough to be open. to it, at least that is what I gathered in Bible college. DoTERRA oils are pure! Pharmaceutical companies do payout incentives health care professionals. For every fully vaccinated 2 year old child, a doctor receives $400. That is ALOT of money. That is why they badger you to vaccinate your child despite all the horrible side effects. I have a medical background and can attest how great doTERRA oils are! Ahh, wonderful, another anti vaxxer who listens to Hollywood celebrities and hoohahs who have their own blog solely because the internet is free instead of qualified doctors. The “HORRIBLE! side effects” come from the fact that a vaccine is a small concentrated dose of a disease meant to help your body understand how to defeat it large scale when/if it comes to you. And the whole compensation thing- let’s call for another analogy. Doctors are obviously paid to perform surgeries (or paid to refer them to the surgeon who does) but any sane person knows that since the 50s doctors don’t recommend otherwise useless surgeries unless they are necessary. And the badgering about vaccines comes from the fact that people like you exist, spreading misinformation and even making polio, yes polio, spring up again. Honestly, do some research next time, you ignorant snob. (Oh and wonderful ad slipped in very subtly!) Have a wondeeful day! Janee, what medical profession are you in. A doctor, nurse, nurse practitioner? Im guessing that you are none of those by your answer. $400 is not a money motivator for a doctor, especially when it comes to the welfare of a baby. Being a low level medical employee doesnt count as having a medical background. Love my essential oil foot pads. Put them on at night and sleep SO much better! Transdermal absorption of some pure all natural oils is definitely good for you! But I agree, be careful what you buy! Not all oils are made the same! It would be helpful if in your grid of oils to not use on kids, if there was a risk column for why each of the specific oils poses a problem. I know someone who sells for YL and she uses this stuff on both her children under 2yrs old because she simply doesn’t “believe” it to be harmful. I think that’s the biggest problem with these companies is they treat their culture as a religion and indoctrinate susceptible people who make up their own claims and rules and spread them to each other while the overarching company can sit back and not worry because the company never actually made any claims. There’s so much misinformation in your article, that I would be typing all day to correct. Sounds like you just have a big chip on your shoulders. I’ve had nothing but positive results using essential oils on myself, my pets, and plenty of friends with health projects. Results would have kept me out of the hospital. Those aren’t false claims, those are results based on my own personal experience. Period.